One of our readers requested a list of editors on Linux capable of editing huge files in the order of GBs. In one of our earlier articles we explored some commands to create huge files on Linux. We also visited glogg, a log viewer with similar capabilities but it cannot edit files. Here’s a list of some robust editors. A Qt based GUI editor. Can view and edit files in hex, octal, binary, or ascii text mode. Can work with files much larger than system RAM or even address space. Joe s a very powerful full-featured terminal editor. Written in C and the only dependency is libc. Mouse support, including wheel (works best when using xterm). The mouse can resize windows, scroll windows, select and paste text, and select menu entries. 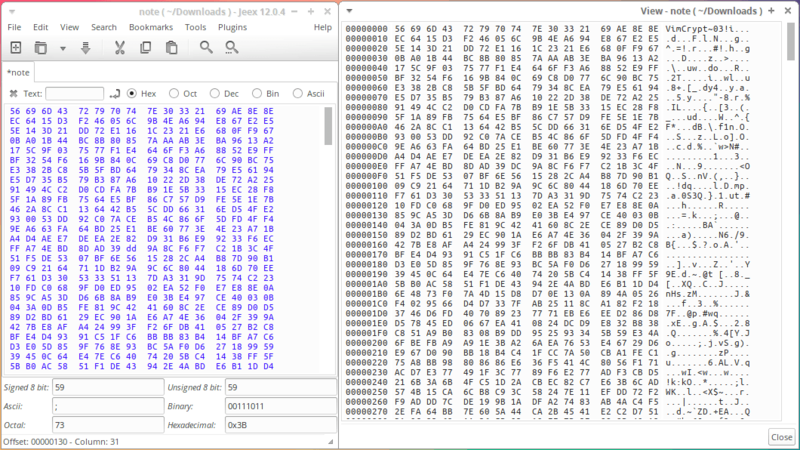 HEd is a powerful hex editor with a hexdump -C like interface. It can load and edit infinitely large files. HEd is not available by default on Ubuntu. Download HEd v0.5 compiled on Ubuntu 14.04 amd64 here. Note that LargeFile may not be able to handle a 1GB file as it doesn’t change the way vim opens a file. A file can be viewed/edited in hex mode from vi using the :%!xxd and :%!xxd -r combination but it is not too strong and needs careful editing. wxHex Editor has a GUI and is multiplatform. It can support massive files. VBinDiff: can compare and edit files.